2. 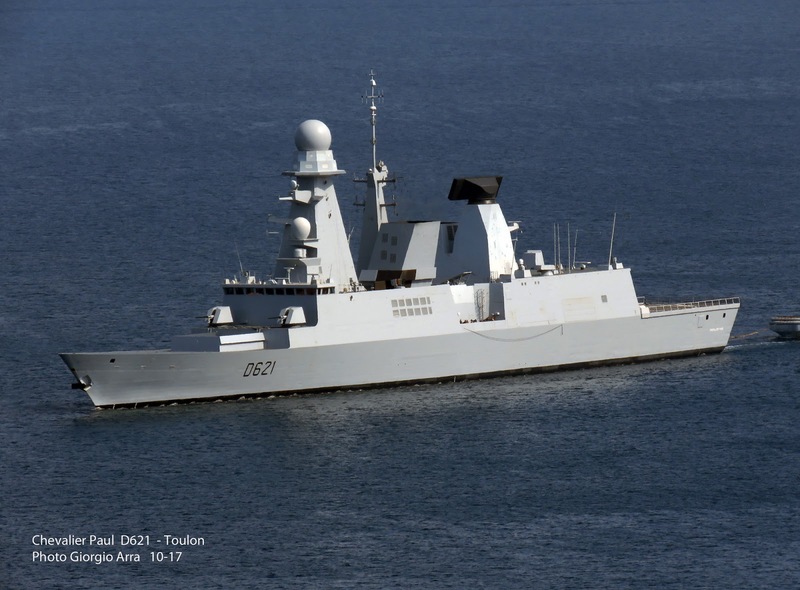 New sensors on a Horizon class destroyer of the French Navy? The devices on the C. Paul's hangar. The following photos were taken on October 9, 2017 by Giorgio Arra and were posted at www.naviearmatori.net. 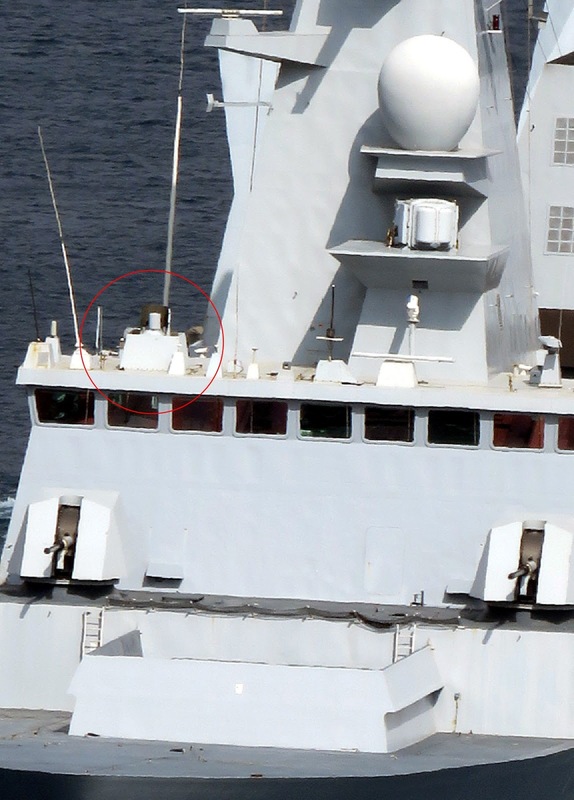 While I was looking those photos I noticed that that the French Navy Horizon class destroyer D621 Chevalier Paul is equipped with some new, unknown to me, devices in her equipment. I have modified those photos for the purpose of highlighting the unidentified systems. I think that they look like ECM/ESM systems. 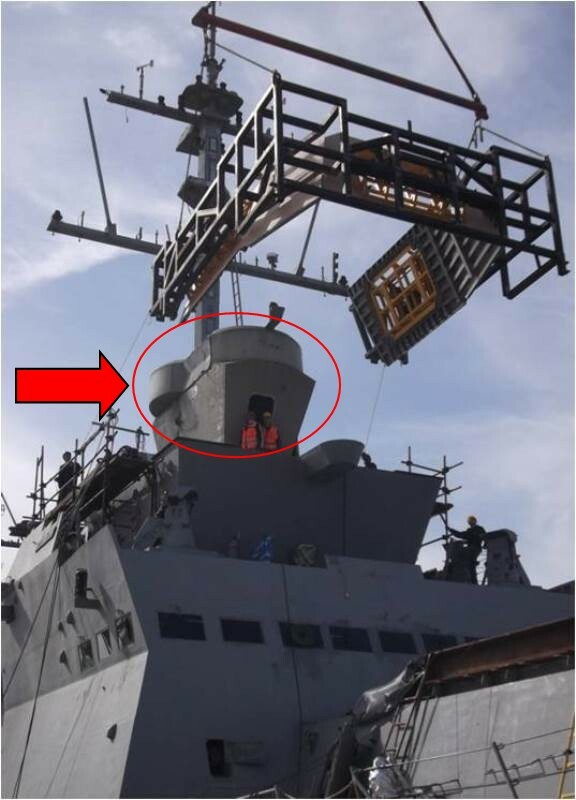 Somebody said that they look like SATCOM which I do not believe that this is the case as the ship has already numerous SATCOM. 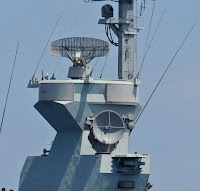 Those radomes are really small and are spread all over the ship (I spotted four such systems). They look also in specific direction and have protected plate behind them for interference avoidance. They are definitely not SATCOMs. 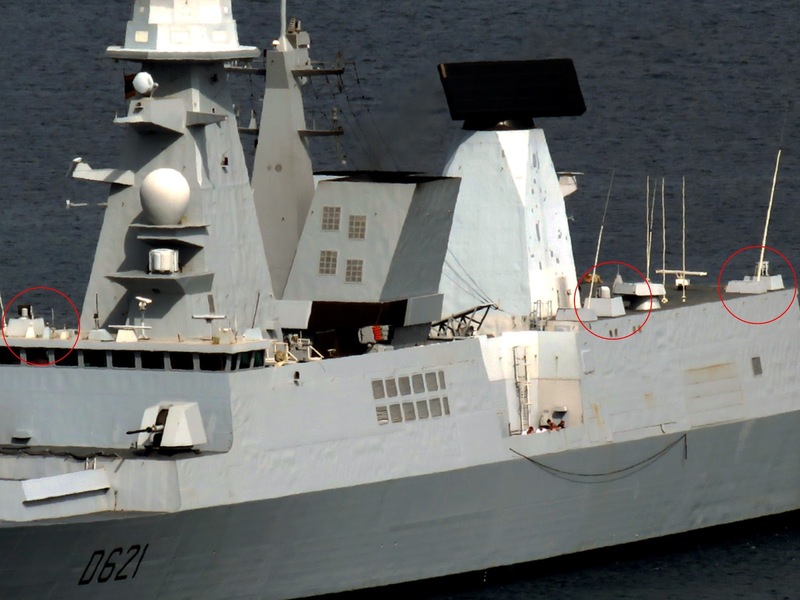 Somebody else proposed that they are sensors part of a thermal sea skimming missile detection system while another one proposed that they are electro-optical sensors. There were those also that agreed with my proposition. The tweet and the comments are at this link. Do YOU know the system? 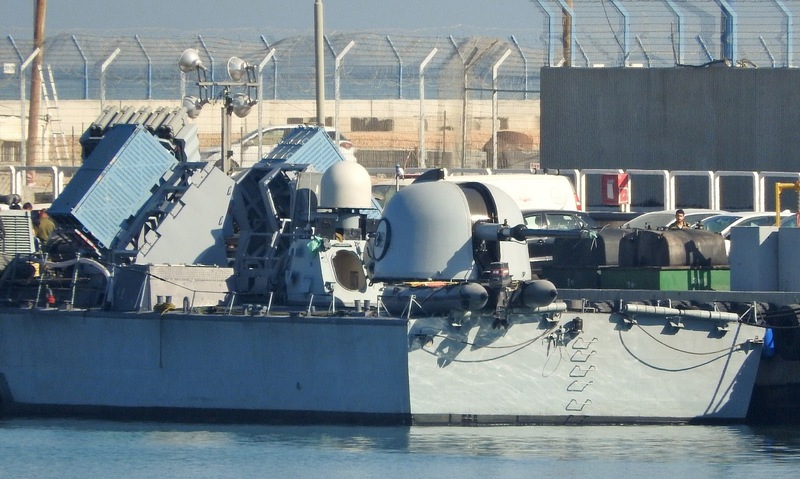 The following photos show the main mast of the Sa'ar 4.5 class fast attack missile boat and the foremast of a Sa'ar 5 class corvette of the Israeli Navy. 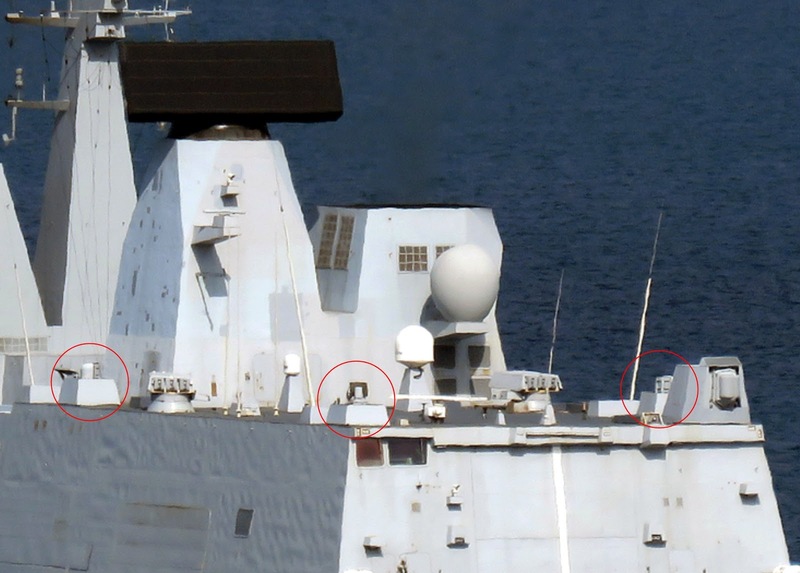 There is a kind of electronic equipment hidden inside the enclosed masts of the two warship classes and it is clear that this is a sensor as it can be noticed the NO PAINT warning on the surface of the cover. 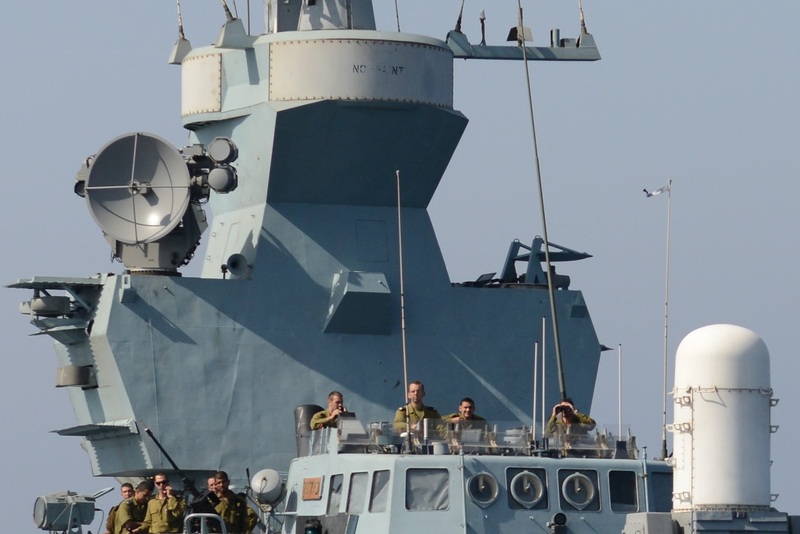 Do not forget that when we talk about any kind of Israeli military platform, we expect a variety of sensors and antennas, of which the majority of them have usually an unknown to the general audience purpose. 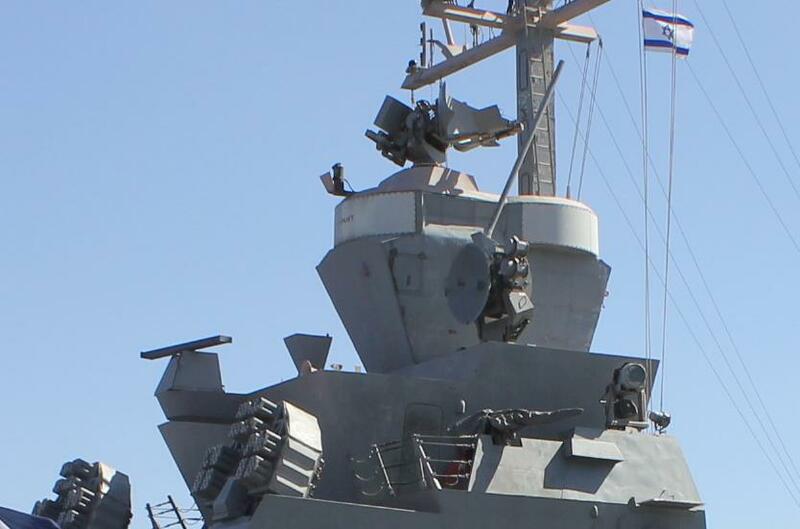 My guess is that this is an electronic/communication support measures system but I cannot identify which exactly system. 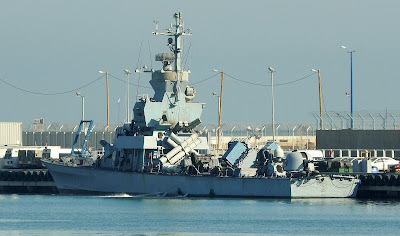 Therefore in my analysis of the Sa'ar 4.5 class here, I mentioned what I strongly believe it is enclosed there but I did not mention a specific system. The tweet and the comments are at this link. Do YOU know the system? No they aren't. If you read carefully the article you will see that the system has been tested only on Sa'ar 5. 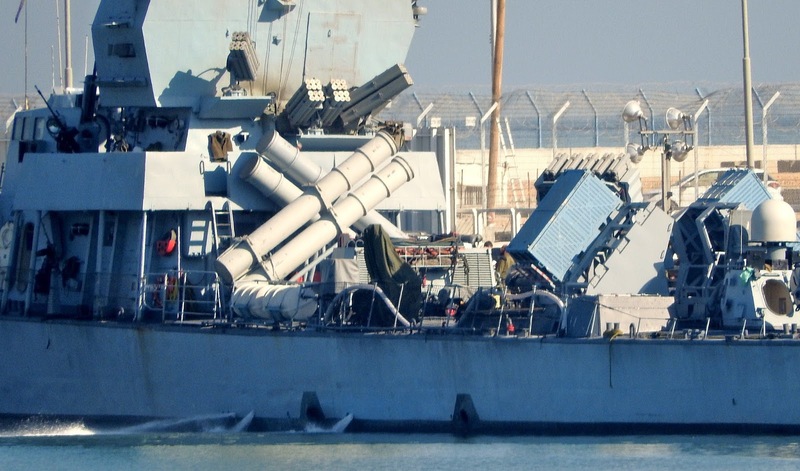 Also the launchers are completely different. Most probably they are for Green Dragon.